Cardiovascular diseases are defined according to a) their location at the heart, b) their time of occurrence and c) their cause. Concerning the time of occurence the heart diseases are divided into congenital and acquired heart diseases. Concerning the cause, the heart diseases can be distinguished between hereditary (genetical) and not hereditary (not genetical). If they are not genetically caused, they can be caused idopathic (by itself), inflammatory, nutritive (diet-related), endocrine (hormonal), toxic or neoplastic (tumor). There do exist some hints to a hereditary (genetical) cause in literature showing breed dispositions, a familal predisposition as well as a statistical registration of a population with a proportion >4%. In the current language, the wordings for 'congenital' and 'hereditary' , as well as 'acquired' and nonhereditary' are often the same. But this is not correct! Congenital heart diseases are phenotypically indicated at the time of birth and are (not always easily) detectable and often persist throughout the lifetime (if not surgically repaired). But presence of heart disease doesn't always mean that it is hereditary in nature. It is also possible for heart disease to be congenital, which is a nonhereditary abnormality. Acquired heart diseases are not (yet) phenotypically shown at the time of birth, but develop over the life course. This doesn't automatically mean, that the disease is not hereditary. 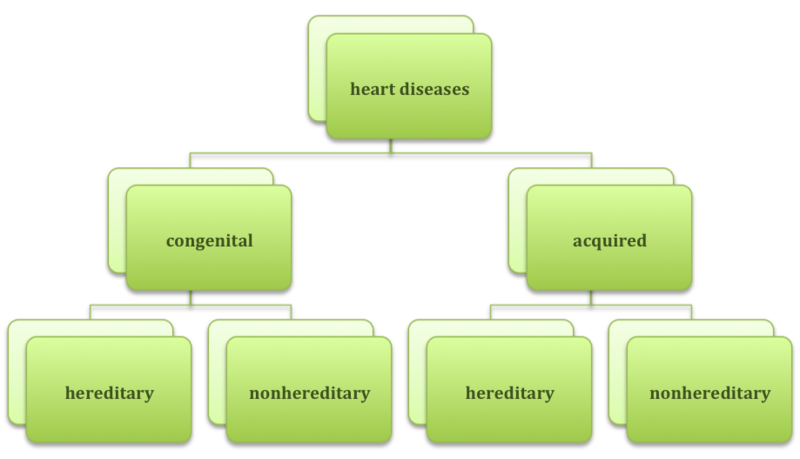 Aquired heart diseases can be nonhereditary or hereditary (manifest later in life e.g. by external influences or at a specific age; acquired, hereditary disease). According to Dr Kresken of the collegium cardiologicum e.v., heart dieseases are not commonly occuring in Labrador Retrievers as the well-known heart breeds, such as the Boxer or Doberman, nevertheless they are relevant for breeders as their appearance can be increased or reduced due to breeding selection. As you can see, a routine checkup of the heart is entirely reasonable considering the various heart diseases and especially important for a breed with limited gene pool. Every prospective breeding dog should have an ultrasonic examination for its own health, to avoid any additional physical stress by pregnancy or through mating in case of a heart disease (irrelevant if congenital or acquired). Of course you also bear the responsibility for all possible offspring of the affected dog. You can find more information about the above listed heart diseases on the following pages.